Whether you’re having a picnic, an al fresco meal or a good old barbecue, dining outdoors is one of the best ways to enjoy the summer weather. So, to make sure you’re taking full advantage of your little slice of the great outdoors, we’ve put together some tips on how to create the perfect dining space in your garden. 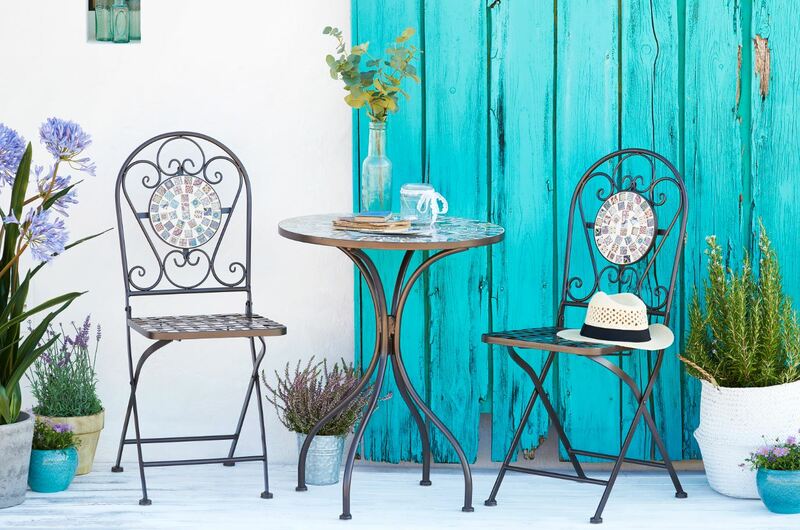 And we have some stunning new outdoor dining sets, too! The first thing to consider is what area in your garden is going to be best for dining. If you have a particularly large garden, think about positioning your dining table close to the kitchen; a long distance from your kitchen may put you off having a spontaneous lunch in your garden. If you’ve got lots of friends and family coming for a big BBQ, make sure that the table is placed in an area where there’ll be space for moving chairs. Nobody likes to be cramped in the corner! If you’ve got lots of space to play with, a large table with plenty of seats is a must. However, if room is a little more limited, opt for folding chairs and tables or bistro sets that can be neatly stored away while they’re not in use. Don’t forget to consider the style of furniture you’re choosing, too. Whether you like traditional or contemporary, you’re sure to find your preferred style at wilko. If you have a cottage or country setting, wooden furniture is the perfect match, while ultra-modern spaces will be well complemented with metal frames and glass table tops. Want a blend of traditional and contemporary? Our rattan-effect furniture is just the thing. While you’re bound to want to soak up some rays in your outdoor space, also consider creating a space where you can enjoy the shade. Choose an area that will have natural shade, or install a parasol in the dining area so you can create shade whenever you wish. Parasols are also great for keeping sunlight away from food. When the sun sets it doesn’t mean you need to head indoors but it does mean you need to bring some mood lighting to your seating area. Simple candles will create a relaxing ambience, as will fairy lights intertwined on your trellises. 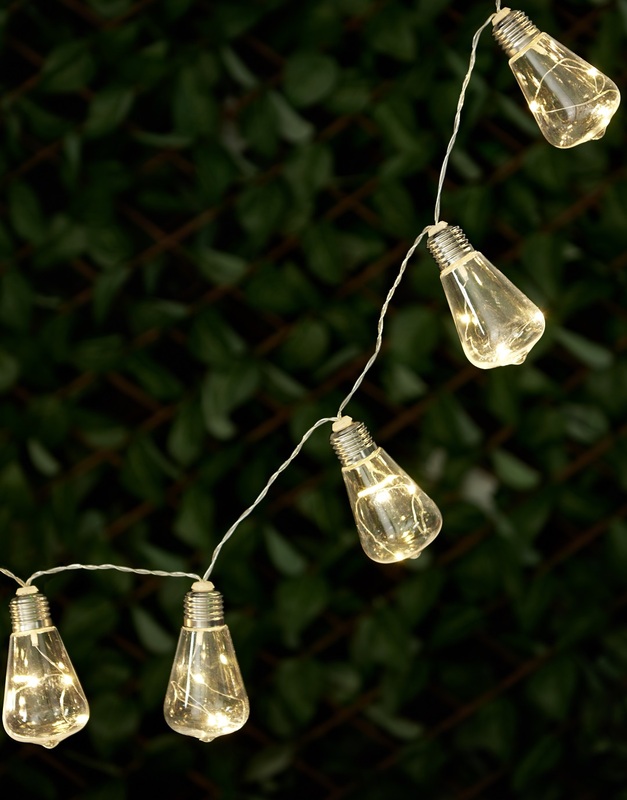 Solar lights will look great around your flowerbeds, too. And, because the temperature can soon drop later in the evening, make sure you’ve got a fire pit or chimenea that you and your friends can gather round. It’ll create a fabulous focal point. Enhance your garden space with the use of plants and flowers. Lavender, sweet peas and roses are perfect. Not only are they visually appealing, but they’ll also create wonderful smells; helping to attract birds, butterflies and bees. How about planting herbs too? Besides looking and smelling great, they’re perfect for adding into your cooking! Team it all with some garden décor and you’re certain to be deemed the garden party king or queen this year! Shop our full outdoor living range online and in-store.